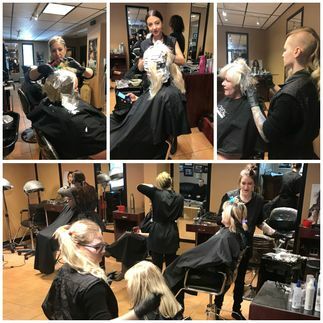 On Edge Academy of Hair’s owner, instructor and Master Stylist, Patricia Pearson, took 10 years to develop a unique curriculum that can, within our hairdressing school in Sarnia, take a student from knowing nothing about hair to being a knowledgeable, confident and successful junior stylist. Haircutting, anatomy of the scalp, cutting lines and learn to connect lines, from beginners to the most advance techniques. Cutting curly hair is a challenge. Master stylist Patricia Pearson is an expert in curly hair; she will teach you to become an expert too. Clippers, edgers, trimming facial hair, ears and eyebrows for men. Texturizing, point cutting, notching, slithering, carving, removing bulk and other shears techniques. On Edge provides you with a lot of clients and teaches you how have a successful consultation. With our training, you don’t need to bring models or watch YouTube tutorials. 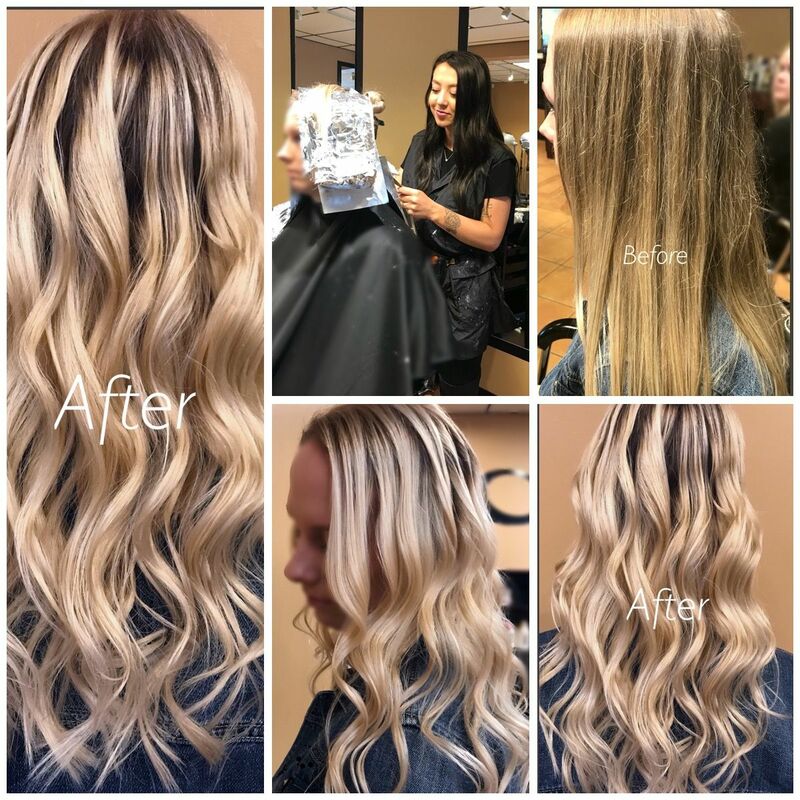 Hairstyling: styling long hair, flat iron, curling iron, French braid, corn row, barrel curls by hand, curling iron, blowout with the round brush, etc. Chemical texture services, permanent waving procedures and chemical hair relaxers (we do a lot of these). The level system: the colour wheal, laws of colours and semipermanent hair colours. Colour correction (this is a big Money maker): types of corrective colours, fixing mistakes, tint-backs, colour removal or stripping. The latest techniques like balayage, ombre and melt roots. Foil highlights, two-dimensional colours, waving, free hand highlights, low lights emulsified and cocktail shampoo. Chemical texture services, wrapping techniques: spiral wrap, piggy back wrap, basic wrap and curvature wrap. The chemistry of permanent waving, selecting the right type of perm, over-processed hair and under-processed hair. Hair analysis, scalp analysis, porosity, elasticity, hair texture and direction of hair growth. Life skills for success as a stylist: this is not something you learn by reading a text book, it is a life and attitude towards your clientele. On Edge provides their students with an array of clients on which they can practise their acquired skills. This life skills acquisition start from day 1 and it will continue through the entire program, through relationships with On Edge clients, classmates and the instructor, every day until you graduate. “My program is very unique and effective. I create amazing hairstyles and show my students how to do that as well. I give my students the knowledge and confidence to go into the real world and build clientele quickly. WE’RE PROUD TO TAKE SECOND CAREER CANDIDATES. To talk to our master stylist or to see our creations, feel free to inbox Patricia on Facebook. We’ll provide you extensive knowledge and tools, allowing you to jump-start your hairstyling career. Tuesday, Wednesday, Thursday, Friday from 10 am to 4 pm.